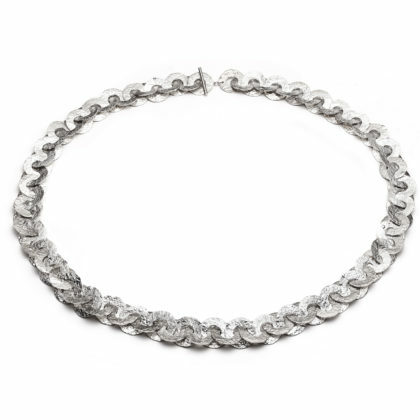 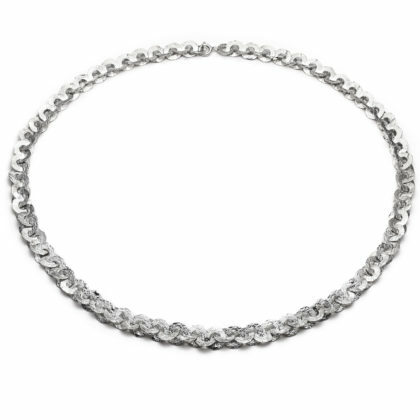 Chain in sterling silver made with small hammered chain links and a spring ring clasp. For custom lengths please contact us. 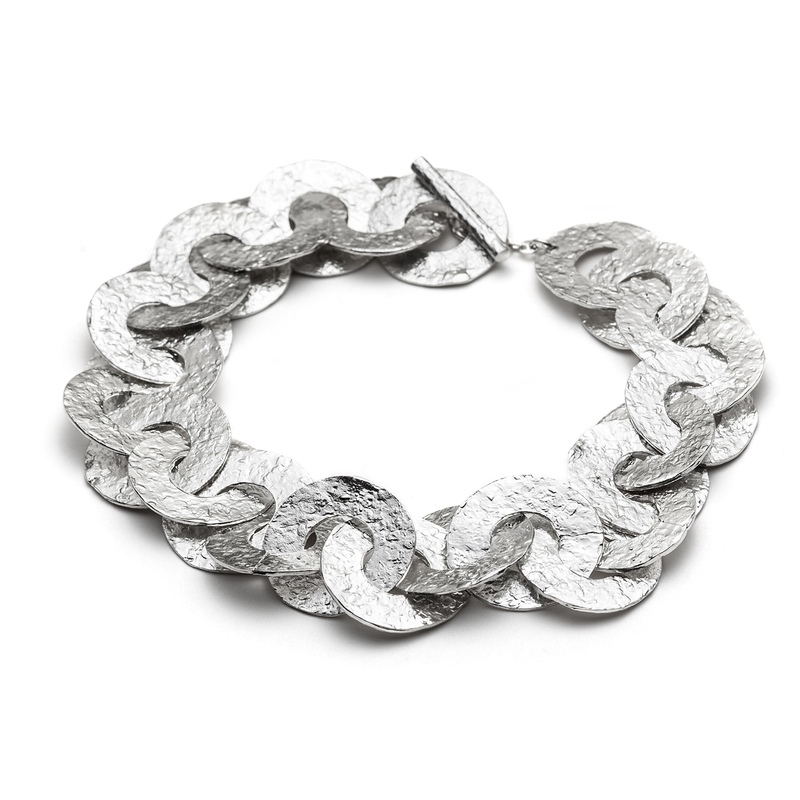 Chain in sterling silver, hand made with hammered links and a spring ring clasp. 46 cm/18", 51 cm/20", 56 cm/22"
Bracelet in sterling silver made with large hammered chain links and a ring and toggle system. 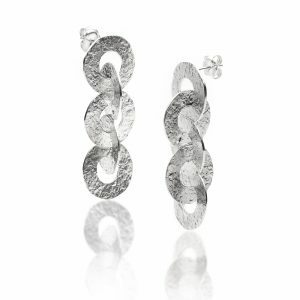 Earrings in sterling silver, hand made with hammered links and post and butterfly system. 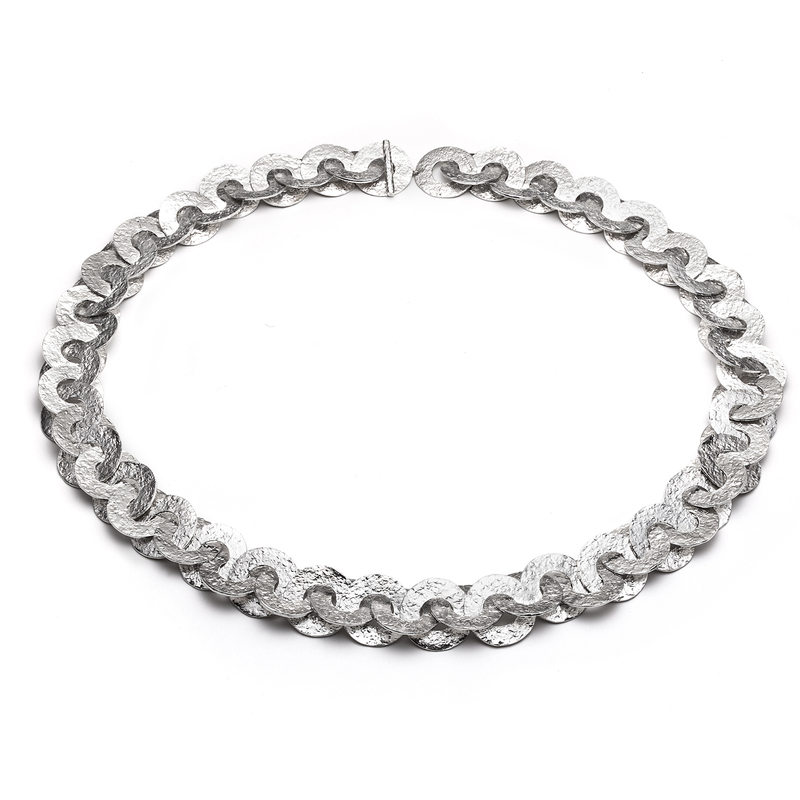 Chain in sterling silver made with large hammered chain links and a ring and toggle system. Chain in sterling silver made with medium hammered chain links and a ring and toggle system.